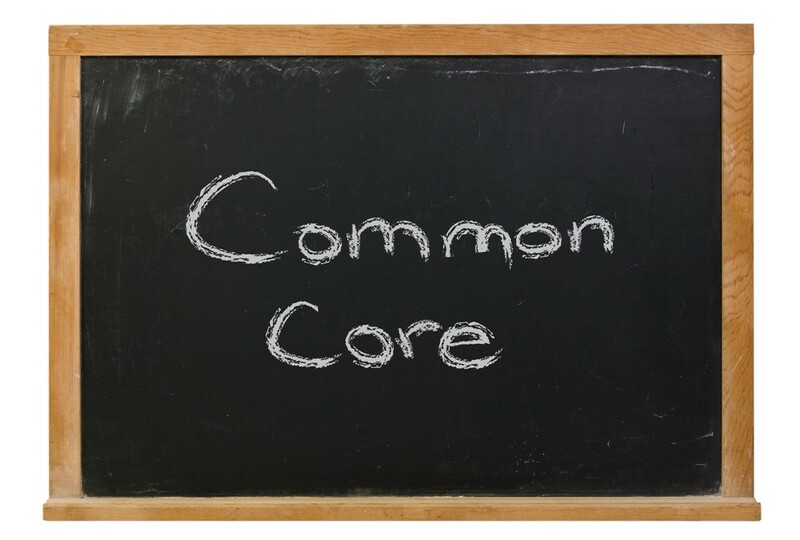 Common Core adoption around the nation has prompted educators to seek new curricula. One trend is to implement blended reading/writing programs, so as to kill two birds with one stone. Unfortunately, these types of programs are not delivering results. In our 20 years of teaching writing across the nation, we have found that good writing is taught not caught. According to the National Center for Education Statistics, less than 30% of students in the nation are proficient in writing. Meanwhile, Common Core is raising writing standards towards “evidence-based writing”– writing which is derived from text that students are supposed to read, comprehend, and form an opinion about (as opposed to “prompt-based” writing from their own experiences). A double whammy for teachers and students around the nation who were already frustrated. Test scores under Common Core have been plummeting. How did we get here and what solutions do we have to help students who were already struggling with basic prompt writing? Fifty years ago, elementary teachers in classes across America taught students the fundamentals of good writing, and they practiced these rules daily. Around 25 years ago, we adopted a more laissez-faire approach called “creative writing”. The theory was that students with a pen and paper would learn to write on their own – similar to how a babies learn to walk by taking steps. Regrettably, writing is more like swimming than walking. Individual skills need to be taught and practiced. Common Core Standards have swung the pendulum away from the creative writing movement to sophisticated response-based writing. While the intent is sound, this represents a massive leap for educators and students. We are throwing them into a swimming pool (text-based writing) without teaching them how to swim (prompt-based writing). The typical student reaction to a text-response essay is to copy segments of the text into a mish-mash of ideas without a coherent structure, sound arguments, fluent paragraphs, or descriptive language. Unsurprisingly, many of the essays turned in will look the same. Most disturbing, the students’ own voices and ideas are getting lost. Start With the Fundamentals of Writing. Great writing transcends time. Emerging writers develop by practicing each of the fundamentals of writing – planning, writing, editing, and revising. In the planning stage, if students first learn to attack a conventional prompt, develop a brainstorm list, and structure their ideas into a graphic organizer, then they will certainly be able to later incorporate text into this planning process. On the other hand, if the planning process starts from the text, the essay will be randomly organized and the ideas will be driven by the text, not the student. If emerging writers can create rich word banks to use in their writing, then they can add text examples to these word banks (tip: always do this before the structuring process). During the structuring and writing process, if students are able to incorporate their experiences and link them to the thesis, they will be able to cite from the text too. Get the fundamentals down, and the quality of the writing will rise. What is important here is that the student is forming original ideas and sound arguments – from the text, from personal experiences, and from critical thought – and a coherent structure to express those ideas. Now Blend in Key Reading Comprehension Strategies. Students will need added skills to succeed in text-response writing, but these skills are already being taught in reading comprehension lessons. They just need to be blended into the writing process. Attacking the prompt and numbering the questions before reading the text is useful in making sure each question is addressed. Skimming the text (at a high level only) and underlining key facts and ideas which address the prompt is the next step. These can be done in the planning stage. Borrowing from the prompt for the opening sentence is very similar to prompt-based writing. Using text comprehension strategies such as prediction, summarizing, and in-text notation can give students an edge-up in fully understanding the text. Reviewing the inventory of underlined text in the revising stage for additional examples is key to maximizing text references. Finally, being able to properly cite the title and author name is important in avoiding plagiarism. Skate to Where the Puck is Going to Be. While there is a major shift today to text-response writing using large text samples, it is important to recognize that the pendulum will swing again. Having students borrow so heavily from large blocks of text and mixing reading comprehension with writing is experimental, and bound to change. Young writers need to be able to construct their own ideas and write original essays. The latest SAT and ACT essay prompts offer some insight. They have a much more balanced approach whereby a small snippet of text is provided and students are asked to draw on personal experiences along with the snippet. This encourages more original thought and critical thinking, and less reliance on the text. According to the College Board, “Writing has never been more important that in this digital age.” Chances are that the emphasis on writing skills will increase over the years. This reinforces the need to teach students the fundamentals of great writing so that they will write well in all scenarios, whether prompt-based, text-based, or blended writing.